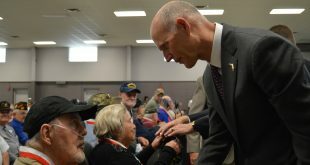 About 300 veterans and their family members attended a ceremony Monday hosted by the Governor’s Office and the Department of Veterans Affairs, held at the National Guard base in Live Oaks, where Florida Gov. Rick Scott presented them with the Governor's Service Medal. 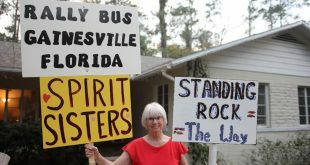 Hundreds of people from North Central Florida will travel by bus on Friday afternoon to participate in the Women’s March on Washington. 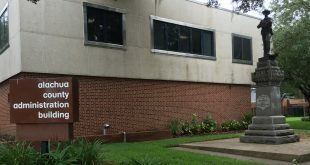 Seven buses, more than any other county is sending in the state, are scheduled to leave from Oaks Mall. 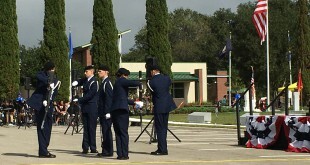 An Alachua County Veterans Day Celebration gave residents the opportunity to honor those who served in the military. This year’s event was dedicated especially to Vietnam Veterans, as 2015 marks 50 years since the start of the Vietnam War. 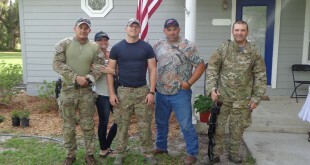 Soldiers Freedom Outdoors is a non-profit organization that works with Bradford County veterans and their families. Through Camp Freedom, veterans and families can engage in outdoor activities and find relaxation and community. Veterans who suffer from post-traumatic stress disorder may face obstacles during the holiday weekend. 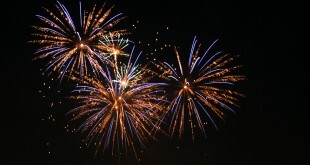 Military With PTSD, a nonprofit organization, has started a campaign to help educate people about the effects of fireworks on people with PTSD. 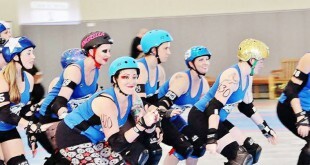 Camille Loose is a 30-year-old recovering methadone addict who may be better known to some by her roller derby name, Jane Dough. Loose turned to the sport to help overcome her past issues. 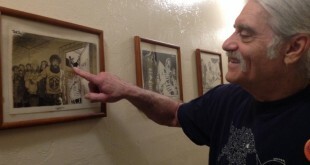 Vietnam War veteran Scott Camil once believed the war to be right and honorable. 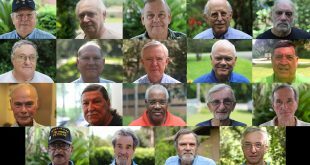 Now, Camil is the founder of Gainesville Veterans for Peace, an organization that partners with other organizations around the area to promote peace. Four years after it closed, Steamers restaurant is back again with a new location. 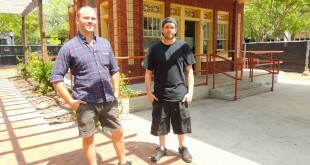 Owner Artie Guy is bringing the restaurant back to Gainesville in Bo Diddley Plaza. Set for an opening in May, the dining place will be in a central hub amid plaza renovations.